I have been trying to think how to put this in words for a few days now, can I be humourous, struggle on that one, just be serious possible or just blog as it comes into the head – that is my usual way so here goes. The date was 14 April and the graduation ceremony took place at Glasgow concert hall in the afternoon. Philip & Jacquie from Northampton, Matthew & Fiona from Glasgow along with my wife Margaret were able to join me. Steven, Yvonne and children were unable to attend as it was the end of the school Easter holidays but Steven posted a nice piece on my Facebook page and a congratulations card arrived shortly afterwards – I know that they were there in spirit. Having received my gown, bit and pieces plus photos taken we had a bit of time to kill till the ceremony at 3pm. The picture shows the hall full of guests and those receiving their certificates an acknowledgement of their work. 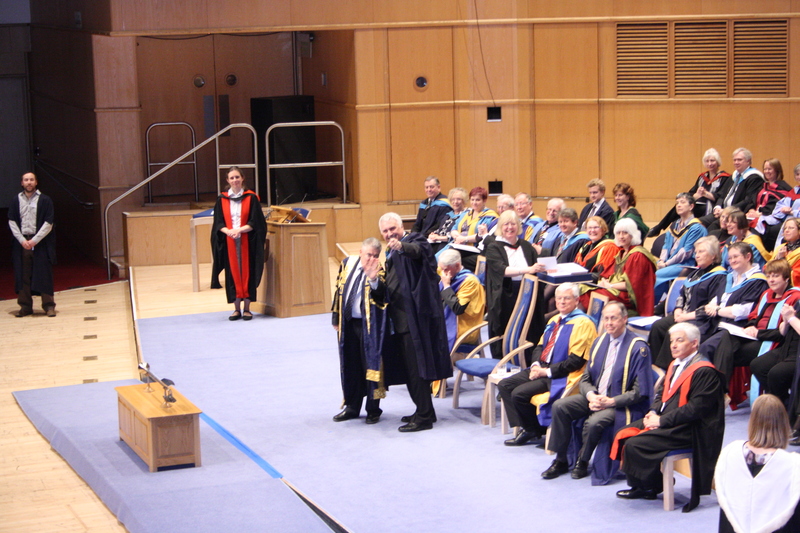 After the usual preamble it was down to the business of the day and what an occasion the Vice-Chancellor of the Open University Martin Bean made of the afternoon he went to great lengths to encourage the guests to give their respective recipients a great Glasgow welcome. mob was shouting from – arrests were on going as they were loud but it was great fun – thanks to them. 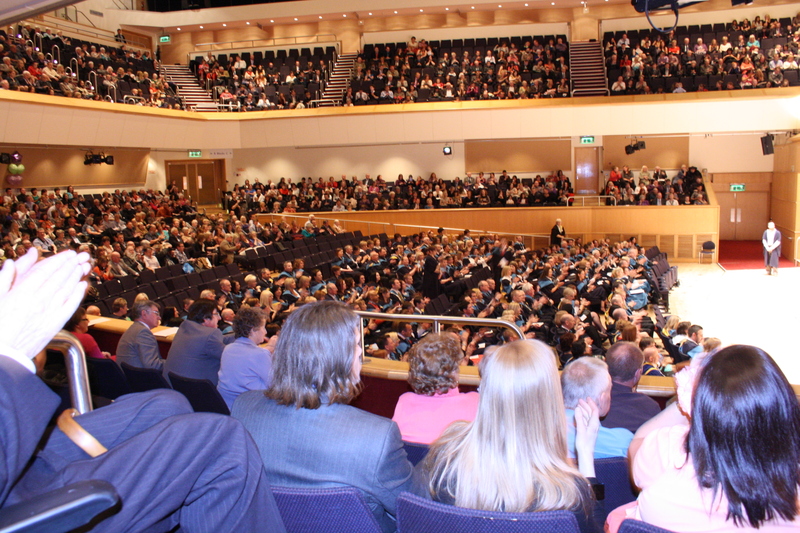 So we had rapturous applause and a great Glasgow welcome for all 200 + graduates all afternoon – great fun. The Vice Chancellor’s closing remarks hit home to quite a number of people as a way to encourage us to go forward now that we have gained our qualification in what ever discipline. He is not going with more – OH! yes he is. for that you will need to go to the next post.